On March 21, we celebrate Harmony Day, which coincides with the United Nations International Day for the Elimination of Racial Discrimination. 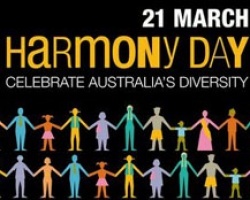 The message of Harmony Day is Everyone Belongs and this year’s theme is: Many Stories – One Australia. At Holy Family are a very diverse community with students and families from more 20 different cultures. Let’s take the time to celebrate our diversity! On March 21, we are holding an assembly assembly during lesson 1. Parents and caregivers are invited to join us in celebrating Australia’s multiculturalism.